The PADi Scuba Diver Course covers the fundamental diving theory and in water skills that will certify the participant to dive worldwide while accompanied by a professional, to a maximum depth of 12 metres. This course is perfect if you are short on time or do not want to spend your holiday in the classroom. It is also suitable for beginners that do not wish to jump into the full open water course. The PADi Scuba Diver course is a sub-set of the PADi Open Water Course and consists of 3 knowledge development chapters, 3 confined water sessions and 2 ocean (open water) dives. Once you have the PADi Scuba Diver certification it can be credited towards the PADi Open Water Diver certification at any time. Please note that all participants must be a minimum of 10 years old, able to swim 200 meters and medically fit. All participants under 18 years of age must have signed parental consent. All participants aged 10 - 14 years old will receive the PADi Junior Scuba Diver rating. Simply click on the Book Now button, complete the simple application form and press Submit, We will require €100 to secure your course, the balance is payable upon arrival at the Dive Centre on the first day. One of our team will process the form and confirm how to pay the deposit to ourselves, once we recieve the deposit you will be issued the E-Learning code and you can begin your E-Learning course. Thinking about an upgrade from PADi Scuba Diver to PADi Open Water Diver? 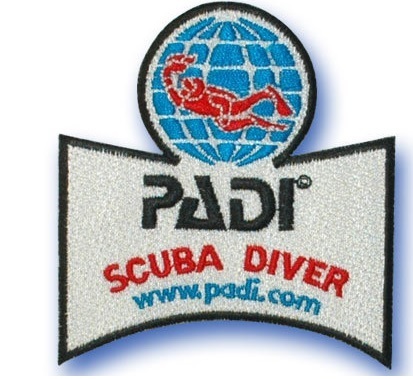 This will certify you to dive independent of a PADi Instructor or Divemaster to a depth of 18 metres with a dive buddy.